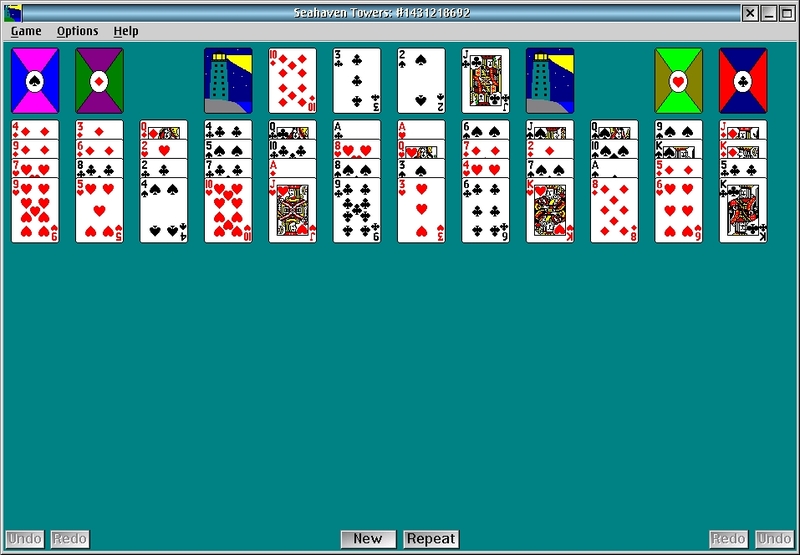 Seahaven Towers v3.01 is a solitaire card game. 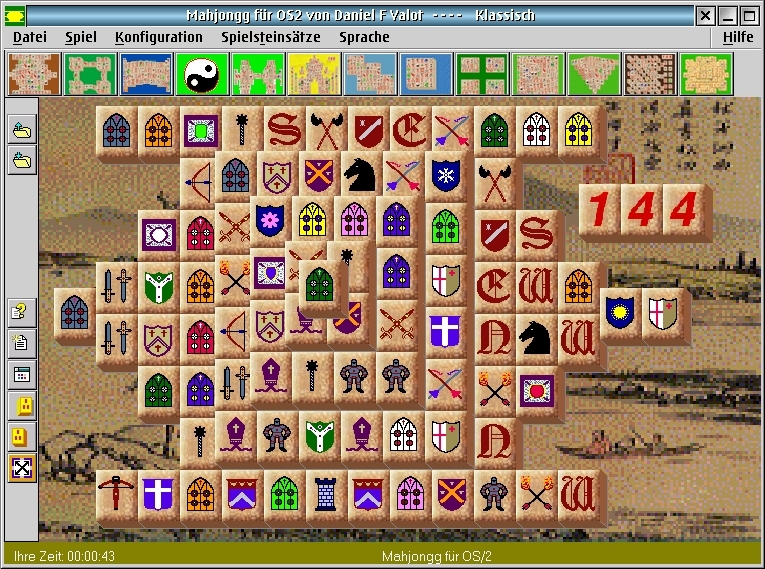 Backgammon is a game of both skill and luck in which two player move their "men" in an obstacle race around the board, trying to get their men off the board before their opponent does. 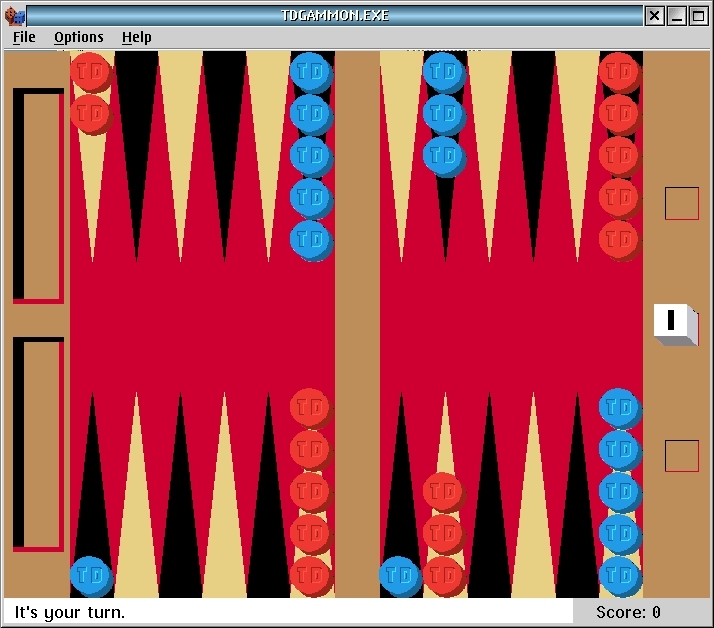 OS/2 TD-Gammon lets you play against one of the strongest backgammon players in the world - an artificially intelligent player called TD-Gammon. At its easiest skill levels, OS/2 TD-Gammon will help you learn the ancient and intriguing game of backgammon as if you were playing against a novice at the game. At its highest skill levels, only a few of the best backgammon players in the world stand a chance of beating TD-Gammon consistently. 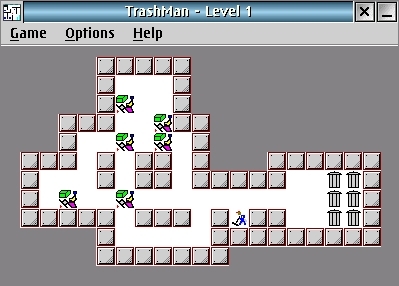 TrashMan is an OS/2 Presentation Manager game that puts you in the middle of the Green Movement. Your job as Sanitation Engineer is to clean up the area by putting all the trash piles in garbage cans. 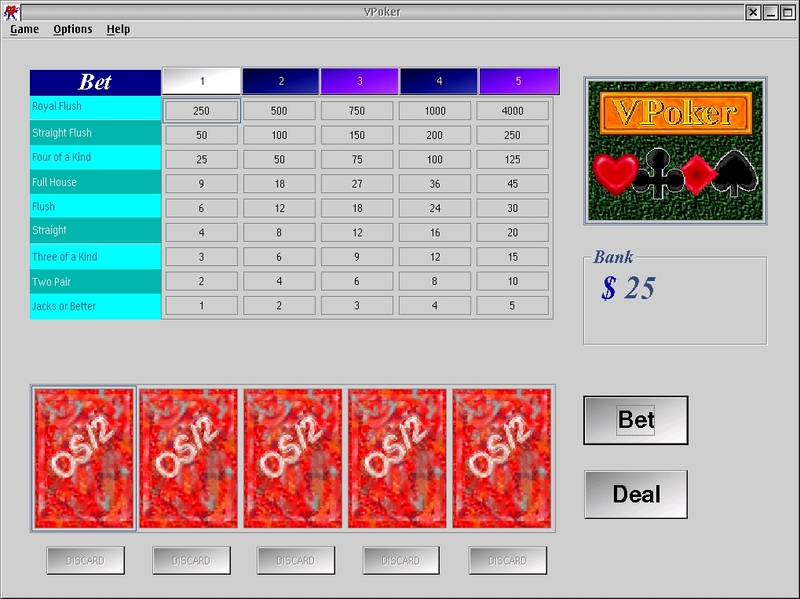 VPoker is a standard Video Poker game. 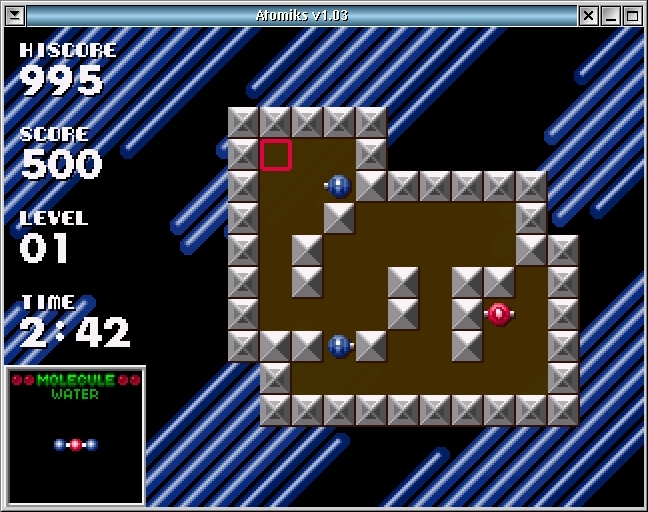 Atomiks for OS/2 & eComStation is a faithful remake of, and a tribute to, Atomix, a classic puzzle game created by Softtouch & RoSt and released in 1990 by the Thalion Software company. Requires OS/2 Warp 4.0 & eComStation 1.0, MMOS/2 (DIVE, DART). From Andrey Vasilkin. The Atomiks engine is released under the GNU/GPL license, altough this license does NOT apply to level design and graphics used by Atomiks, since these remain the intellectual property of their authors, Softtouch & RoSt. Therefore you CAN'T reuse any of the level design or graphic elements, unless you get written permission from Atomix's copyright holders. 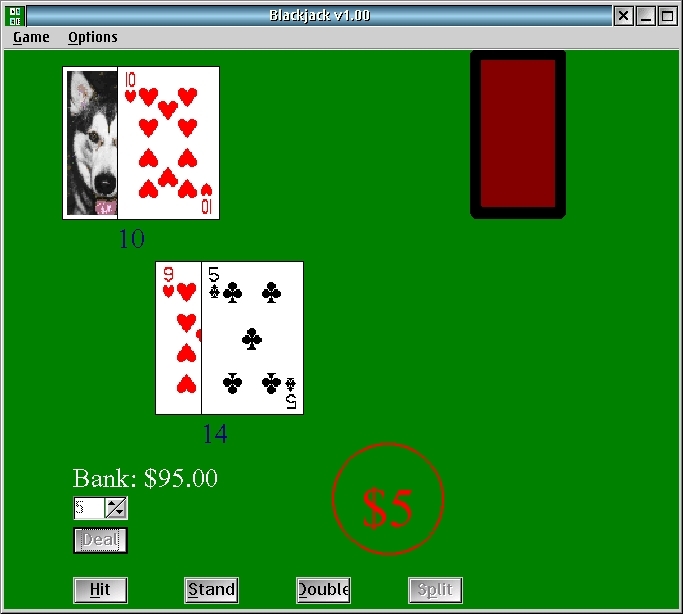 Atomiks has been created by Mateusz Viste, who has been explicitely authorized to reuse graphical and design elements from the original game by Atomix's copyright holders for the sole purpose of creating Atomiks. 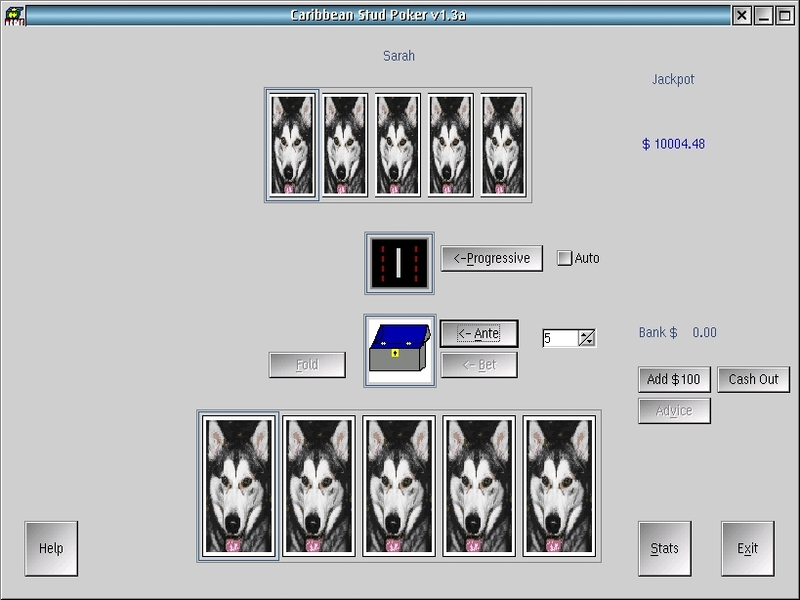 IglooSoft is proud to present the Compulsive Gambler's Toolkit(TM)! 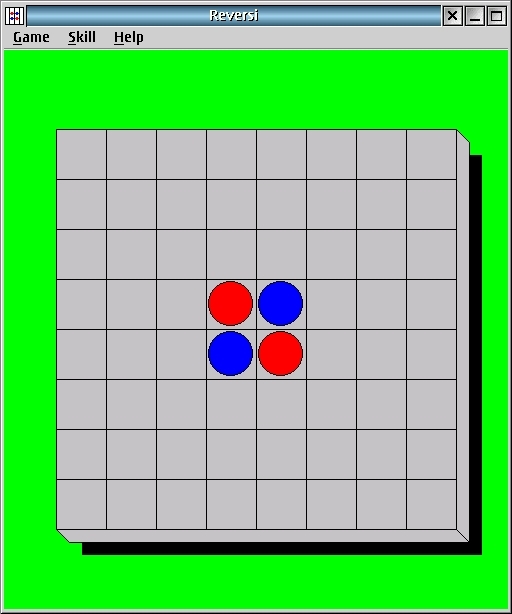 This a port of Microsoft Windows Reversi from Microsoft SDK. Copyright (C) 1993-1996 Microsoft Corporation. All Rights Reserved. outnumbered, but with your intellect, you might be able to save him. crashing into each other in their pursuit. 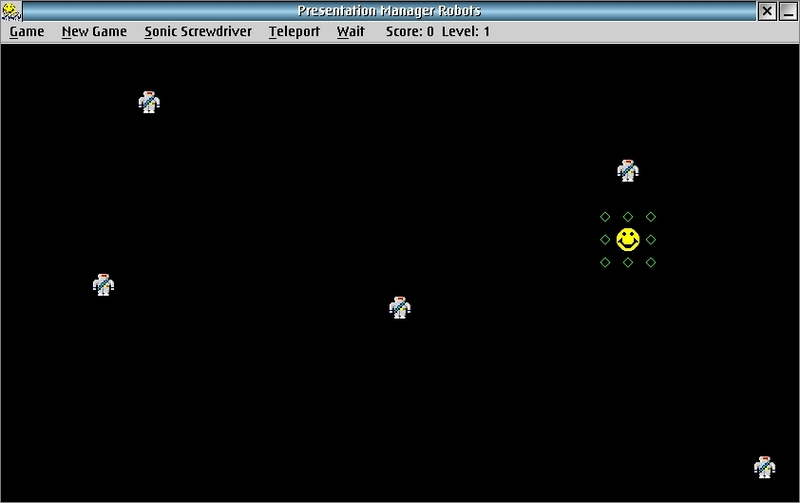 Everytime you make a move, the robots move a space closer to Smiley. 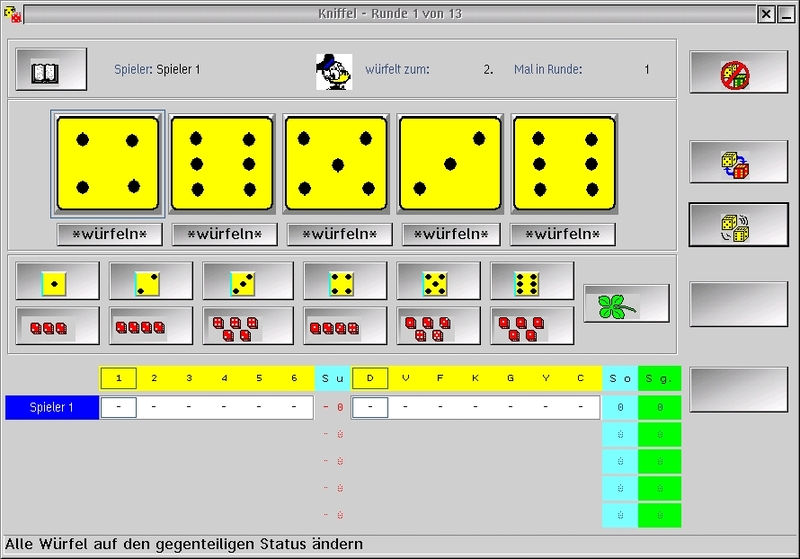 KNIFFEL (german for "YAHTZEE") is Freeware in any respect - you may use, alter or distribute the application at your will. 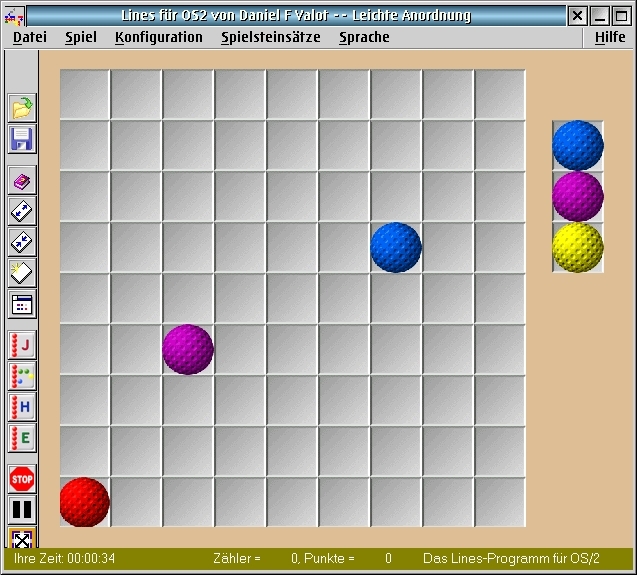 The Source code of this game had been included in the source.zip file. The VisPro REXX source code and the VisPro-Project folder is located in this file.